Andy Stanton (the J.M. 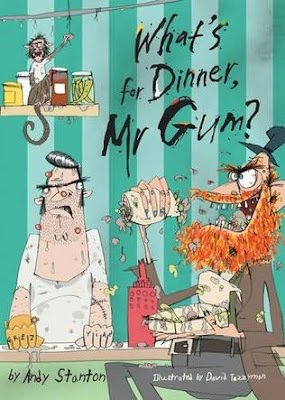 Coetzee of children's literature) has his new book, What's for Dinner Mr Gum, out soon. We'll be making the annual pilgrimage to listen to Andy spread his seeds of wisdom at the Bath Festival of Children's Literature (so much better than the adult version). I suggest you do likewise. And if you can't, you can see Andy on ativan reading from What's for Dinner, Mr Gum here.